We took the nucleus of an idea and partnered with the team at Recomazing to design, develop and launch a sophisticated, social and business profile hub where consumers can reward the businesses they trust with positive referrals. In turn, brands can identify, track and enhance the social word-of-mouth influence of their advocates. We defined a brand identity, tone-of-voice and content strategy. Established the requirements, and functional specifications needed to build an entirely new platform. Finally, we created a new site architecture, user experience and responsive visual design. 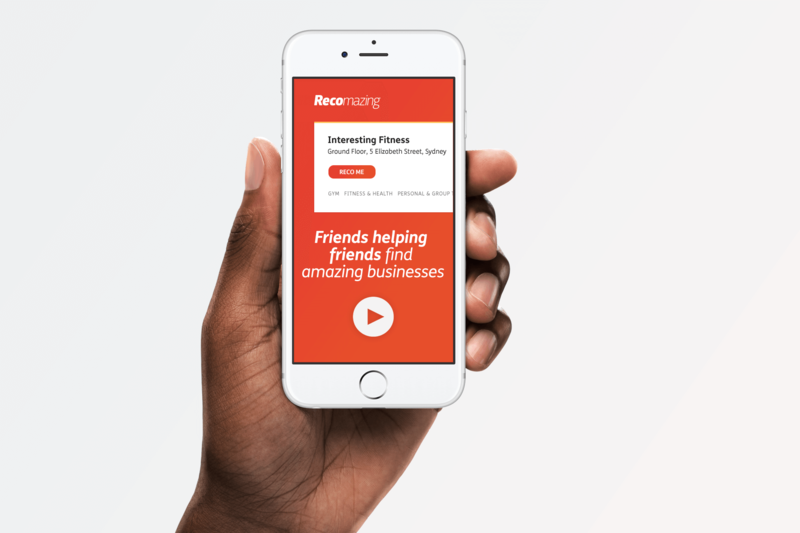 Recomazing was live with registered businesses creating profiles within four months. Three months later we successfully launched to the public giving users the ability to 'Reco' a business. Finally, one month later, we had delivered an analytics dashboard that enables businesses to understand the social value of each 'Reco' they receive, and an eCommerce engine for online membership conversions - an incredibly powerful step forward for the platform. The platform helped Recomazing achieve Series A funding and go on to be used by Virgin Mobile, Open Colleges, Xero, Microsoft and over 1000 other Australian businesses. Sadly, despite their best efforts the team at Recomazing they were unable to maintain viability and went the way of so many other good ideas that weren't able to hit a critical mass before the funding ran dry.